Described in Chambers & Partners as “an unsurpassed advocate at the Chancery Bar”, Gilead has appeared in many high-profile cases in recent years, both in the UK and abroad. 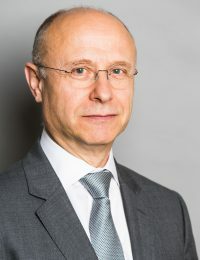 He receives praise for “his ability ‘to pull rabbits out of hats’ in fiendishly difficult cases” (HNW Guide 2016), and is consistently recommended in the major legal directories. The recent Chambers 2019 edition ranks him in Band 1 for both Traditional Chancery and Trusts and in Band 2 for Offshore and Art and Cultural Property. “He’s a trial barrister. He is a supergun you bring out for the cases where you really want to get on with matters.” The Legal 500 describes him as “a genius and a great strategist”, commenting that he is “fast becoming one of the most sought-after senior Chancery practitioners”. He was described by Who’s Who Legal 2018 as “one of the top silks in our research this year”, and is one of five silks in the “Most Highly Regarded” category. He is also featured in Legal Week’s Private Client Global Elite, and was the winner of the Antiquities Law Barrister of the Year Award in the Lawyer Monthly Legal Awards 2016. Gilead’s practice has a strong international element. He has appeared in the courts of Hong Kong, the BVI, Bermuda, Cayman and Nevis, and has been involved in litigation in Jersey, Guernsey and Gibraltar. Last year he provided expert advice in relation to the Panama Papers in Imran Khan’s action against Nawaz Sharif in the Pakistan Supreme Court which led to Sharif being removed as prime minister. Gilead specialises in complex, high-value disputes, often involving allegations of fraud, breaches of trust and fiduciary duties, and professional negligence. He also has “a notable specialism in matters involving art and antiquities” (Chambers & Partners). He has been involved in a number of restitution claims before the Spoliation Panel, and often advises and represents major national museums and galleries. He acted for the Tasmanian Aboriginal Centre in a dispute over some human remains that formed part of the collection of the Natural History Museum. Gilead recently represented the trustees in In the Estate of the Eighth Earl of Bathurst, in which the Dowager Countess, as life tenant of a trust of family heirlooms, unsuccessfully claimed the right to enjoy the chattels in specie. He also acted for the Earl of Cardigan in his dispute with the trustees of the Savernake Estate: in one action, which went to the Court of Appeal, the trustees sought the court’s sanction for a sale of the trust’s prize asset, Tottenham House; in a separate action, the Earl of Cardigan succeeded in removing one of the trustees, and obtained repayment of unauthorised remuneration as well as compensation for breach of trust. In Slutsker v Haron, Gilead successfully resisted the claim by Vladimir Slutsker, a former Russian Senator, to go behind the terms of a Cayman trust that had been set up by his former wife to hold (via an English company) their matrimonial home, a valuable house in The Boltons. The case involved a conflict between Russian matrimonial law and UK domestic law. Another of Gilead’s cases, Sharp v Adam, is one of the leading modern authorities on testamentary capacity. Gilead’s experience also includes appearances in the Court of Protection. Before coming to the Bar, Gilead enjoyed a brief career in publishing, editing books on photography, popular science and astronomy. He also spent a couple of years teaching in pre-revolutionary Iran. After completing his pupillage, he worked in the Litigation Department of Freshfields before taking up a tenancy at 7 New Square. He joined Wilberforce Chambers in December 2015. He is an CEDR Accredited Mediator and has been called to the Bar of the BVI. Case Note: Re The St Andrew’s (Cheam) Lawn Tennis Club Trust, Trusts & Trustees (2012) Vol 18, Issue 8, 816. “Negligent Valuation: Damages”; (1995) Int. I.L.R. “Negligence – the Surveyor and the Mortgagee”; (1991) E.G. He blends gravitas and commerciality with intellectual rigour.